A very persuasive and thorough observation on science and the burden of proof. 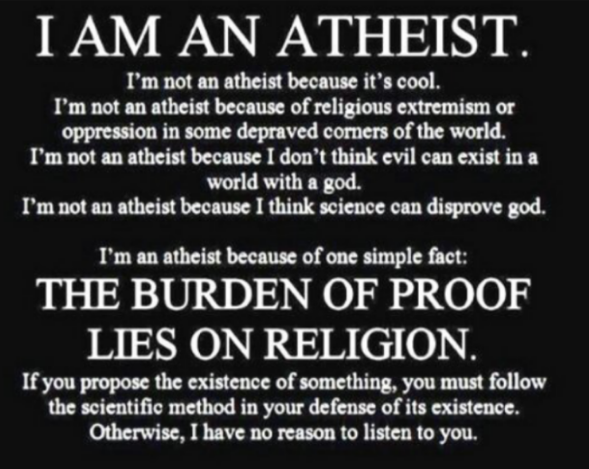 Recently, an atheist told me this. This statement is baffling to me for a few reasons. 1. It assumes that God does not love the non-believer because God is not playing by the arbitrary rules the non-believer set up. 2. It assumes that God can fail. 3. It is arrogant beyond all measure. 4. It regards ALL of the evidence God has provided as insufficient and makes this insufficiency God’s problem. So, what kind of proof do non-believers generally demand?